The AACR (American Association for cancer Research) Annual Meeting program covers the latest discoveries across the spectrum of cancer research—from population science and prevention; to cancer biology, translational, and clinical studies; to survivorship and advocacy—and highlights the work of the best minds in research and medicine from institutions all over the world. If you would like to set up a meeting, feel free to contact us at contact@invectys.com. 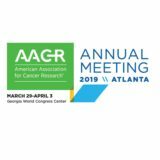 The AACR Annual Meeting brings together cancer biologists, clinical oncologists, and population scientists with engineers, computational biologists, and physical scientists to develop quantitative approaches and ask new questions to develop better strategies for curing cancer. By bridging the gap between what physicians understand about cancer biology and the clinical applications, this meeting aids basic researchers, physicians, and clinician-scientists in obtaining, synthesizing, and integrating the most current molecular-based tests to aid in the diagnosis, treatment, and prevention of cancer.